*I will mostly have TWO names for each building, the first Korean pronounciation for you to get there, then its meaning in English to better understand how it all came to be . old downtown of the Capital of Seoul was geographically bordered inside the “Great Gates”, of which two stands today – this East Gate “DongDaeMun” AND South Gate “NamDaeMun”- BOTH which have spawned large traditional open markets next to it, where everything could be had . in Post-Korean-War Modern South Korea onto 1980’s : DongDaeMun became the textile AND apparel wholesale district, with miniscule shops stuttled inside a handful of buildings South of the actual East Gate, with textile market to its immediate West and pet wholesale area, mostly of birds and aquatic fish on the long stretch a block South-East (dogs and cats further South in the movie industry AND motorcycle shop area of CheungMuRo). 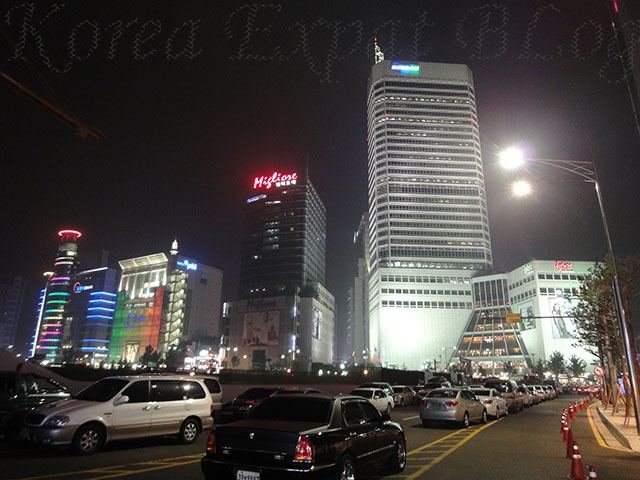 this was a time when export was vital in the development of this nation, and lots of export items were smuggle-out to here, sold to locals without its original labels, thus tabbed “bo-sae”, along with the alley across the now-Grand Hyatt atop NamSan (South Mountain). fashionable apparel for domestic sale was then in South Gate “NamDaeMun”. but as development in East Gate “DongDaeMun” pushed to claim the area as a “fashion town” in mid-1990’s, high buildings soared and its booth rented and higher fashion items now sell along-side earlier casual-wear, while NamDaeMun still acts as bargain retail for the general public (while current NamDaeMun sports wholesale for fashion accessories, eye-glasses, cosmetics, hair products and cameras). open hours are roughly same as Official business times, and differ as these tiny booths are private stores and begin about 8am ~ 9:30 to close around 6 or 7pm early evening . [ FOR CONSUMERS ] and as you exit out of their Norther blocks, across ChunGaeChun Water Stream above which once rose a freeway running West-East, through old downtown Seoul – now demolished to amazingly allow citizens to stroll-by and even ducks to swim it 0o0 you will see the original PyungHwa ShiJang (Peace Market) apparel wholesale market, which is another series of buildings this time : lining the North bank of ChunGaeChun Water Stream . also behind these block await many restaurants AND massage parlours to soothe your stomach and muscles day-and-night . 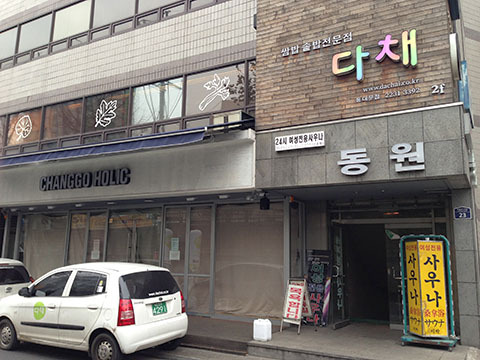 and in the very alley between the popular Doota and Migliore : the well-known Chinese restaurant – because it is more Chinese-Chinese than your much-common variety of Korean-Chinese situated on almost every neighborhood throughout South Korea – open 24 hours . 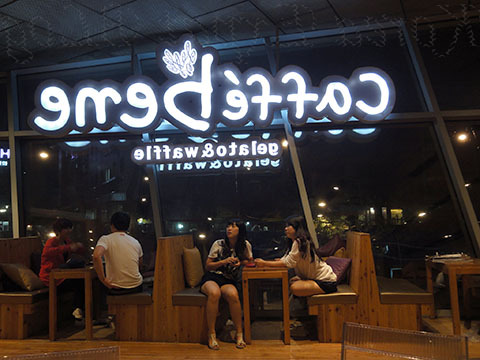 and across the large street from Doota, as you enter the wholesale area : the only coffee shop Caffe Bene large enough to lay down your shopping luggages – again, open 24 hours . the massive ovular green behind the coffee shop was formerly DongDaeMun BaseBall Stadium, now demolished to pave way as a goliath structure is being built to spurn the egg of Fashion Town dreamt by Seoul City Mayor yawn . all-that-said, one can never get much detailed information on each shop, as there are so many in each building, and some do change frequently depending upon the market and their target . so the best is to get the big picture of the whole area and characteristic of each building . this can be best done by getting one upon a hand-ful of fold-out maps distributed FREE at tourist information booths (usually at main intersections) and at hotels and residences (simpler, no-frills hotels). [ WHOLESALE AREA ] turning to the Right awaits the two most popular, or rather trendy wholesale buildings in DongDaeMun : U:Us (You, Us) and Nuzzon (pronounce New Zone). U:Us is more trend-cutting of the two, therefore vendors exchange owner-ship quite frequently . business is mostly done in cash, thus purse-snatching occurs quite frequently, even though vendor rows have video cameras to check after-wards . a great sight is the rows of apparel stacked in front of the buildings, awaiting courriers to shift them throughout the country . also, the ground floor entrance of larger building sport UPS and DHL-like courrier services . NamPyeongHwa ShiJang (South Peace Market) whose under-ground floors sport hand-bags as well as luggage . 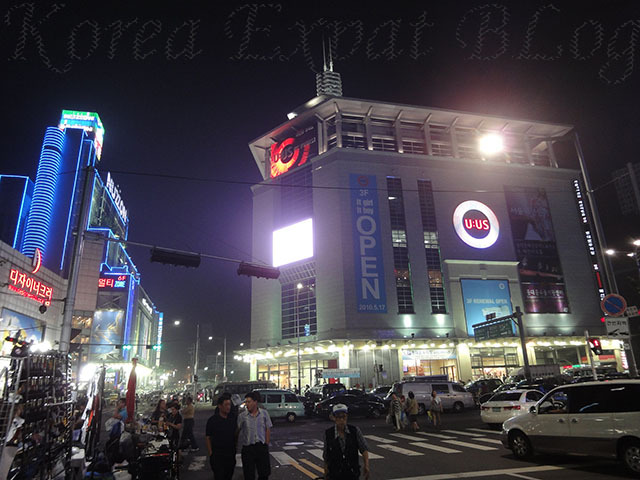 although consumer buildings out-West in Doota as well as Migliore have luggage areas on top floors, I as a luggage enthusiast prefer NamDaeMun (South Gate) Market South Block AND iTaewon South-West Block . Jae-il PyeongHwa ShiJang (Number One Peace Market Yes, the names are beginning to sound like those of BeiJing) whose ground, 2nd and 3rd floors are stacked with ladies and especially children’s AND menswear – NOT only local BUT even European imports (although NOT your top-designer brand of Gucci and Prada variety) which sell at over-double prices in chic boutiques in posh KangNam, rightfully translated as South of the Han River . WholeSale Buildings : open late night, to close before sun-rise . [ AUTOMOBILE PARKING ] under-ground floors of consumer buildings on the West, as well as the whole under-ground of the main intersection in the wholesale area in the East of DongDaeMun Apparel Market has large parking areas, BUT traffic comes to a dead-lock during commuting hours 7~9am and 6~8pm, then especially late-night when boutique and shop owners and operators arrive literally by the bus-loads from all corners of the Korean Peninsula . so public transportation is utterly recommended, as FIVE subways criss-cross through the whole of DongDaeMun, then taxi cabs abound during mid-night to 5:30 am when subways and bus don’t run . I’m from Malaysia, I will come next month for wholesale woman clothing stock. Which outlet will you recommend me? Want to get a good wholesaler so that next time we can contact through phone. Thank you. No mention at all that the wholesale markets all close for the summer. 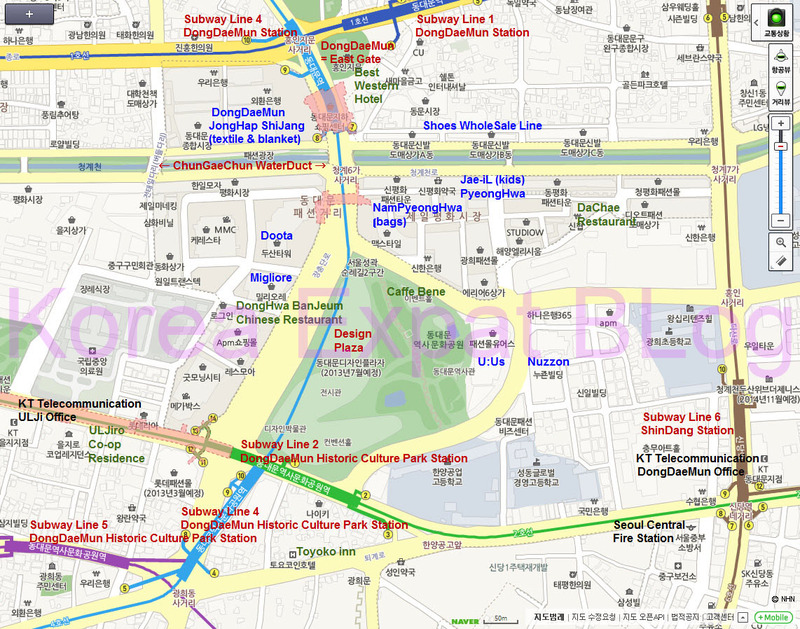 This information isn’t on any websites and not even the Korean Tourism information site. 1.Not ALL WholeSale Markets close for the Summer . which is usually a few days early in August . where import and export companies or their agents would . but up to traveling agencies to post, if they are gathering group tours to visit there . 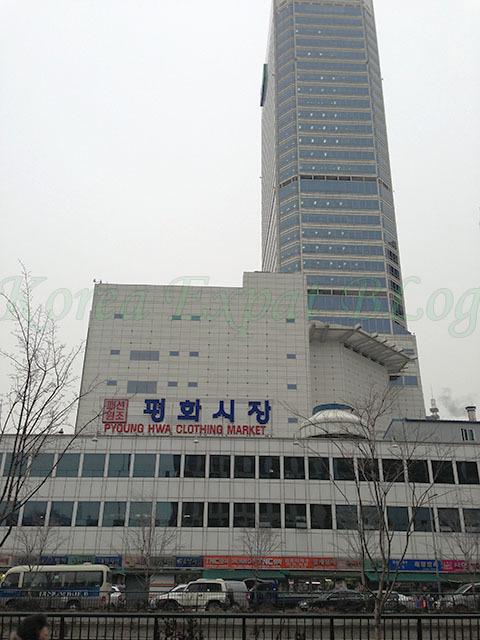 Hi, is there any way to access the Korean wholesale market (apparel, accessories) via email/websites (e.g. 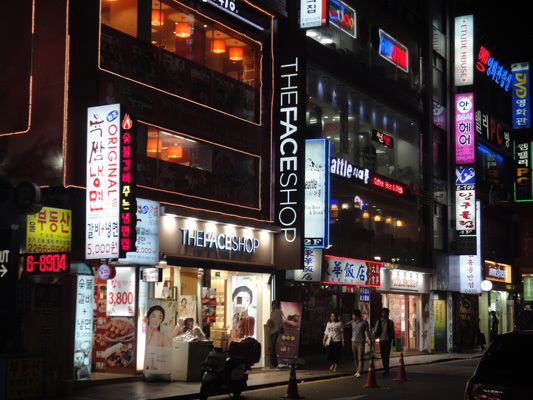 online catalogues, ordering) without having to physically visit the Dongdaemun market? I’m based overseas and would really love to bring in these goods, but it won’t be viable for me to fly there all the time to replenish stocks. Thank you. I would like to visit to meet a sewing or tailoring outlet who can produce my design to specification in small quantities.. please can you be of help. 1.For those inquiring open hours especially during national holidays : Please refer to the separate Page linked at TOP MENU . Hi, im from Malaysia. I’m starting up my fashion biz. Could you provide some guidance on store-owners inquiring WholeSale contact and guide. I’m looking for good n reliable wholesalers. Also I have some more inquiries, could u pls reply me privately via email. Thx a lot. Hi, I am planning to start online fashion business in Malaysia. May I know is there any recommended good & reliable wholesalers? I may not able to fly to Korea frequently so wish to work & order via email for subsequent deal. Thank you. First off, I want to say I LOVE your site. It is amazing. Thank you! I’m a store owner looking for more information on the wholesale clothing. I would also want details on custom printing and embroidery. Thank you. I am already in Seoul and looking at setting the above immediately. I’m opening an online shopping site soon and I would like to import products from Korea. As I find Korea one of the best generator of creative and trendiest designs in the world. The main thing for me is that i can’t really travel down to Korea to check and replenish stock as readily as others can. Would I be able to get access to stock online so I can order for my site? I’m setting up an online store and would like to order fashion from one of the wholesale website. I’m currently looking for coordinator in Korea who could help me deal with ordering and shipping process. Could you please provide me some suggestion or advice on this issue? Like everyone, i am aso untending to create my own online shop selling fashion accessories like earrings, rings and etc. Do you know where I shld go to take a look?? I would like to import women clothes from Korea. Grateful if you can please provide me email address of wholesalers so that I can get in touch with them. Appreciate if could furnish me with some wholesaler and coordinator contacts in Seoul that I can get in touch with for online apparel business. Thank you! Hi! anyone please tell me where is the wholesales market for eyewear- glasses in korea? or Is there wholesale online shop? Looking to set up online business to sell korean accessories, apparels, kids apparels. Would need recommendations on wholesalers. Thanks. I’m setting up an online store in Singapore and Albania and would like to order fashion from one of the wholesale website. I’m currently looking for coordinator in Korea who could help me deal with ordering and shipping process. Could you please provide me some suggestion or advice on this issue? Hello, I’m currently looking for accessories wholesalers from Seoul to import into Canada for online and pop up business. Would appreciate if you could refer any contacts to work with. Hello there. I’m looking for wholesaler for fashion accessories and clothing in Korea for my online business. I have been there once in Korea and I love the designs. Appreciate if you could link me to the wholesalers/ coordinators. Thank you very much & have a nice day! I’ve been looking for a tailor at DDM (or even Itaewon) to make bespoke clothes for my measurements and/or add on fur or trims to jackets. I buy cloth and fur there and I’m not looking to do commercial, just my own clothes. I’ve tried asking the vendors at DDM and most wont give me the time of day. Those that do can’t communicate an exact place to me. Can you help ? Hi there, thanks for your informations on your blog. 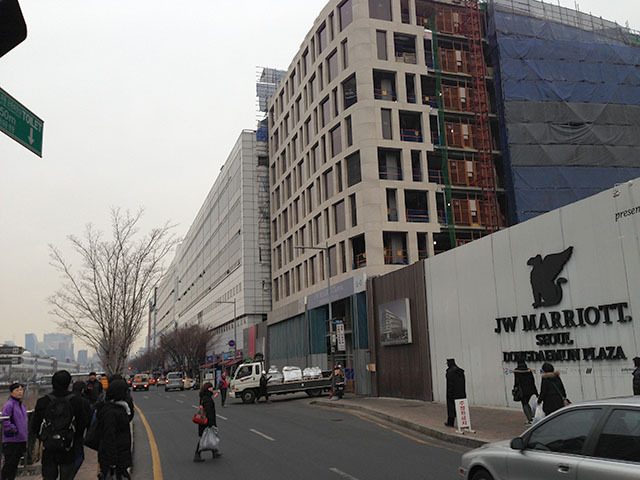 I hope to understand more on the wholesale process in dongdaemun. Is there any agents or wholesalers I could contact with purchases for the wholesale clothing ? Really appreciate if you can provide me with more details. Hey, I’ve also got questions about the wholesale market for fabrics. Would be grateful to speak with you or your associates. Would like to start a boutique with Korean fashion. I have an online business in women fashion, particularly Korea style. Do you have any wholesale fashion supplier in Korea contact that I can work with? Hi, I like to understand when is the best month to get summer clothing before all wholesaler carry fall/winter outfit? Was planning to fly over in the month of July or September. Which month would be better?